Could you write a short paragraph covering your key business/sector challenge, what new data driven product/services you expect to develop that address this challenge, approximation of jobs created (internal + external), forecast revenue or size of market in financial terms. Parents and students do not have a single online resource that enables them to easily access advice and detailed information about every type of education institution in the UK. Data and reports from educational bodies as well as feedback from parents, students and the institutions are frustratingly scattered across the web, with no single site providing information about the UK’s nurseries, schools, colleges, universities, courses and related services in one place. There is an absence of an intelligence based navigation system that provides a required number of educational choices against user selected criteria. 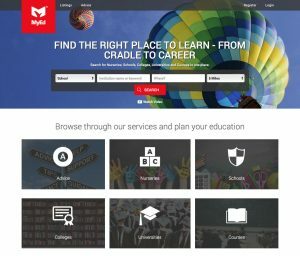 MyEd aims to change the way parents and students make education choices by collecting data, developing software and the use of machine learning. This will be done by building databases on the growing numbers of users to provide predictive and accurate recommendations for mapping out choices for all stages of education from nursery to university. We are working with the Open Data Institute (ODI), as part of the Start-up Accelerator programme and are in the process of developing tools that can access data in schools and local education authorities to help reduce the number of appeals and give parents a better indication of which schools to select when making an application. As a pilot project, we are working with Birmingham City Council’s Schools Admission Team to develop this tool. Although we have built a site with responsive web design crafted ensure that will work on a wide range of devices, we are in the process of developing the MyEd Mobile Application. We plan to fully integrate Big Data platforms that will allow us to make use of user data by introducing new features that will pre-empt the way the site is used and suggest search results based on users’ needs. In the UK, there are over 43,000 educational institutions, 20m learners from the age of 1 to 25 and around 10m parents with children of nursery, primary and secondary school age*. There are 459 colleges with 4.5m students pursuing further education; 161 HE institutions with around 2.4m students**. A survey by The Times Higher Education in March 2014 found that UK universities collectively spent more than £36 million on student marketing in 2012-13. Research in 2015 found that the total UK advertising market was £15.8bn, with just under £8bn spent on digital ads***. In 2012, $81bn was spent on marketing education globally, with 18% ($14.58bn) spent on online marketing. This will increase to $138.6bn by 2017, with over 40% ($55.44bn) spent on line marketing****. (Sources: *Department for Education, 2013-15; **HESA, 2014; ***Strategy Analytics, Feb 2015; ****Education Sector Factbook, 2012).